Fairfield Ohio Tow Truck Insurance – Call Us Today! Are you looking for Tow Truck Insurance in Fairfield Ohio or the nearby areas? If so then your search is over. The agents at Pathway Insurance are standing by to help you with your insurance needs. As a leading independent insurance agency, Pathway Insurance has the knowledge and know-how to find business owners like you some of the best rates and coverage for Ohio Tow Truck Insurance. Pathway Insurance can provide great insurance options for towing operations of all forms, including towing as part of a repair garage or dedicated towing services. Call 800-998-0662 to talk to one of our licensed, experienced agents today. 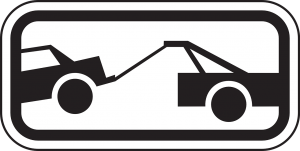 Tow Truck Insurance Fairfield Ohio – Have You Read Your Policy Yet? Chances are good that you have purchased some kind of insurance before, such as car insurance or homeowners insurance. Before you settled on coverage did you read your policy? If you said no, you are probably not alone. Many people do not bother to give their insurance policies much thought, but such a blasé attitude toward your insurance coverage can be dangerous because of those pesky exclusions of coverage we have mentioned before. Exclusions of coverage are specific situations pointed out in the language of an insurance policy for which coverage would not be granted by the insurance company. The only way to make yourself aware of the exclusions of coverage lurking in your insurance policy is to read your policy very carefully! In our last article we learned how “Penny Pincher” Perry Plumbucket suffered serious financial damage because of an exclusion of coverage that he was not aware of. He assumed that his policy protected his trucks from collision with an animal but it turned out that that wasn’t the case. We then posed this follow-up question: Since a personal automobile insurance policy would have covered a claim due to collision with an animal such as a deer, why is damage caused by an animal not listed on “Penny Pincher” Perry’s insurance policy? The answer is simple, and an important lesson to learn and be aware of: though there are often similarities, insurance coverage differs from company to company. What is covered by one insurance company’s policy may not necessarily be covered by another’s policy. collision with a bird or animal. No losses other than those specifically described above will be covered under Part II of this policy. As you can see, Company A’s policy provides coverage for collision with an animal, as well a handful of other forms of damage. The sinking, burning, collision or derailment of any conveyance transporting the covered auto. As you can see, Company B’s policy looks very similar to Company A’s, but you’ll notice that coverage for collision with a bird or animal is missing. The difference is subtle. How do you guard yourself against overlooking something like this? Like we said before: by reading your policy very carefully. Tow Truck Insurance Fairfield Ohio – Call Today! Call the courteous agents at Pathway Insurance today for great rates on Ohio Tow Truck Insurance. You can reach us atl 800-998-0662 Monday through Friday 9:00 AM to 5:00 PM (EST).